Devadigara Sangha Padubidri and JCI Padubidri in association with District Hospital Udupi conducted Blood Donation Camp at Jilla Panchayath School (Board School) Padubidri. Dr B.P Rao physician Padubidri Primary Helath Hospital Inagrauted the camp. Dr veena kumari ( physician District hospital udupi blood bank ) explained the importance of blood donation and how it will help the society. Shekar Dooja Devadiga ( senior member Devadiga sangha Padubidri) Prakash devadiga (President Devadiga ra Sangh Padubidri ) .JCI foundation director PPF .Y.Sukumar, past Zone president Jc Udaya kumar shetty . Y Deepak Kumar Yermal ( Zone officer -Zone15) .Dr .N.T .Anchan ( Anchan Clinic Padubidri.) 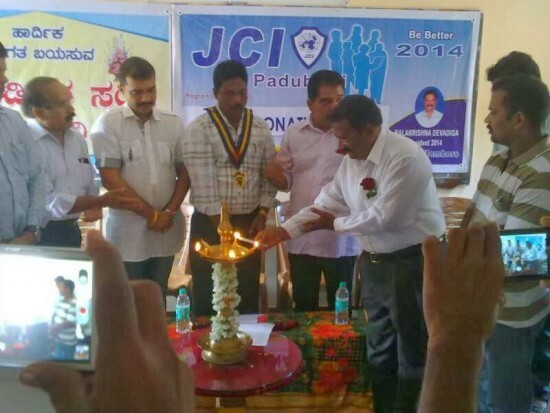 and IPP - JCI Padubidri Rajaram also present in the dias. JCI Padubidri President Balakrishna Devadiga is president of the programme .Jci Padubidri Secretery Prasanna Given Vote Of Thanks.